Locals who still remember World War II would tell visitors that back in 1944-1945 Morotai was a hive of military activities with tens of sorties roaring daily from aircraft taking off and landing at airstrips along Daruba Bay, endless stamping of thousands of military boots marching across the island, and navy ships anchoring daily carrying supplies and reinforcement. For Morotai back then, was the strategic base of the Allied Forces from which they attacked posts in the Philippines and Borneo in their fight against Japanese forces during World War II. On 15 September 1944, Allied Forces from the USA and Australia under the leadership of Supreme Commander for the West Pacific, General Douglas MacArthur, landed on Morotai’s south west corner, where sometime before, the Japanese had constructed an airstrip but abandoned it in favor of the island of Halmahera to its south. In Morotai the Japanese command left only some 500 soldiers to guard the island. With such overwhelming odds, the advancing Allied Forces were no match for the small number of Japanese troops. The Japanese Navy later tried to recapture the island but also to no avail. When the Japanese abandoned Morotai, Gen. MacArthur saw this as the golden window of opportunity to take the island which he considered was at the most strategic location for a counter invasion to recapture the Philippines from the Japanese. With over 50,000 troops the Allied Forces settled on Morotai. Losing no time, Mac Arthur immediately constructed a number of airstrips over the rough coral ground. At one point, Morotai was said to house no less than 60,000 soldiers and had a large hospital with 1,900 beds. There was also a busy naval base nearby. Later, Australian Forces also sorted from Morotai to stage attacks on North Borneo. This hive of activities continued until the end of World War II at the surrender of the Japanese in 1945. Before leaving the island, Allied Forces are said to have burnt down all constructions on Morotai. In 1974 a lone Japanese soldier called Taruo Nakamura emerged from the jungles of Morotai having hidden there for decades unaware that the War was long over. Today, Morotai has become a vague memory in the annals of World War II military operations in the Pacific Theater, and its role in the fight for freedom of the Philippines almost forgotten. The island itself with a total population of 53,000 people is now back to its routine as sleepy tropical paradise. Nevertheless, its decisive role in World War II is forever etched in history books. Now the government plans to make Morotai into an economic hub and gateway into Indonesia from the Pacific Ocean. Morotai will be developed as a fishery, tourism, trade, and services center. The island of Morotai has now been designated as one of Indonesia’s Top Priority Tourist Destination for intense resort development. Wreck diving becomes one of the attractions on Morotai Island. 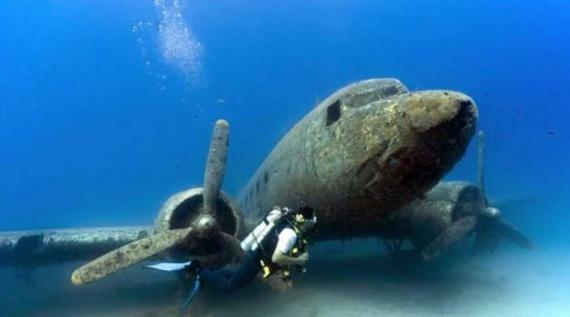 There are some wreck diving spots available. For example, there is Lapangan Pante. It is located in Wamama village. It is also the home of an old air base. Some parts of it are abandoned, though. Lapangan Pante has the depth of 16-40 meters. Divers can witness some war ruins like jeeps, trucks, tanks, war airplanes, etc. Tourists can enjoy a unique dive experience here. The view is majestic and it is covered by mystery. A wreck diving in Morotai Island is famous among tourists. It is both challenging and fun. Some fishes live in those wrecks. It is inappropriate for beginners, though. The wrecks are mostly fragile. 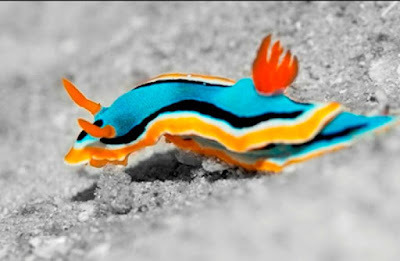 It can be dangerous for inexperienced divers. That means it takes both proper equipment and diving skills. Fortunately, some local people are ready to help. They will guide tourists to enjoy this activity in a safe manner. They also give a guideline for wreck divers. With a proper guide, a wreck diving in Morotai becomes an unforgettable experience. Wreck diving is beneficial for both tourists and local government. 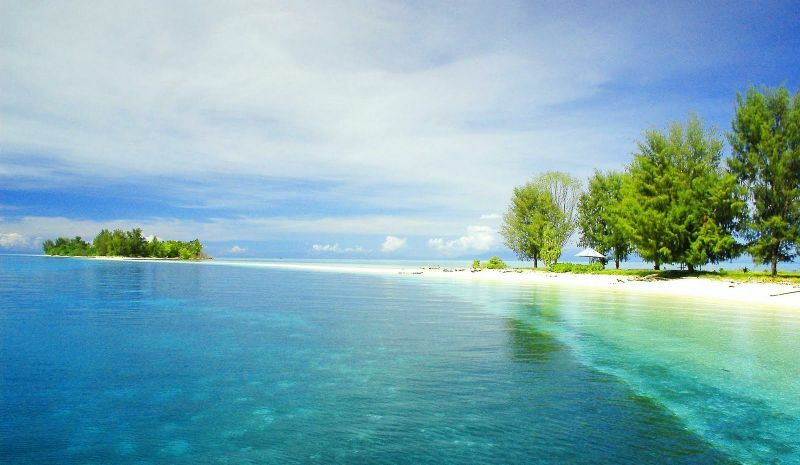 Morotai Island can take advantage of visitors’ money. Tourists may spend lots of money to enjoy such challenging water sports. Not to mention they need to spend some money on accommodations, local transportation, and meals in Morotai. Today, many wreck diving spots have been maintained well for supporting tourists’ satisfaction. Everyone can enjoy it. Where in the world is Morotai? Located north of the larger island of Halmahera in the province of North Maluku, the island of Morotai has a number of great beaches and interesting diving spots. The largest town here is Daruba in the south. To Morotai’s north are the Philippines, to its east the Pacific Ocean. Not much remains to be seen from those hectic World War II days, except for a number of interesting wrecks to be explored underwater. A lone statue of General Douglas MacArthur on the island of SumSum near Daruba serves to remind following generations that this famous general, best known for his words “I will return”, once made Morotai his military base. Nearby at Kao Bay in Halmahera, a half submerged Japanese wreck named the Tosimaru can still be seen from shore. A shack filled with memorabilia of World War II collected by a private citizen and known as the Morotai Museum can be visited to remind visitors of those terrible war days, which will hopefully never occur again on this planet. 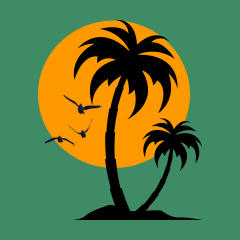 Besides serving as the US and Australian military base in WW II, the island of Morotai later also served as a base for Indonesian forces in the liberation of West New Guinea from Dutch colonization. The best way to get to Morotai is on your own yacht or liveaboard, which will ensure your easy access and accommodation. The nearest airport to Morotai is on the island of Ternate. Garuda Indonesia, Lion Air, and Sriwijaya Air serve regular flights to Ternate. From here you must travel overland to Tobelo, in North Halmahera, then take a ferry to Daruba on Morotai. The sea journey takes around two hours. I am Saifoel Hakim, an Indonesian. Relaxing and having fun is one way for me to regain my spirits. I share information about tours, culinary, and hobbies on this blog to make it easier for visitors to decide which activities are most suitable for relaxing and having fun. Hopefully, this blog can offer good benefits for the visitors. Too many people use the internet to ask for donations in the name of humanity. They tell about the suffering and sadness of others to enrich themselves. This causes the donors not to trust to donate money via the internet. Such cheating will harm those who really need financial help for their survival. On the other hand, it also prevents sincere donors from helping others. God will always be present quickly to help those in need. God will help anyone, whether Christian, Muslim, Buddhist, or Hindu. God does not ask which nation you are from. God also does not make complicated procedures to help. Well, if you believe the good will be better replaced by God, please donate only $5 to us. We do not sell sad stories about the misery of others but we invite good people like you to be part of God's hand that will immediately help and protect people with love. With just $5 USD, you have changed the world with God's love. Relax and Fun is a blog to share about tours, culinary, and hobbies. This blog collects selected articles from various posts on the internet that can be used as a reference for recreation with a relaxed and fun.